Dr. Link throws up the Vulcan Salute, which has become somewhat of a gang sign for Dr. Link. 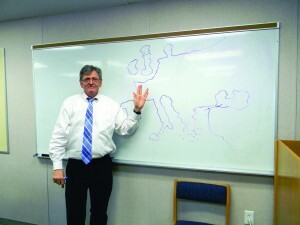 Dr. Link came to Pace in 2011 after teaching at Westminster for 19 years. 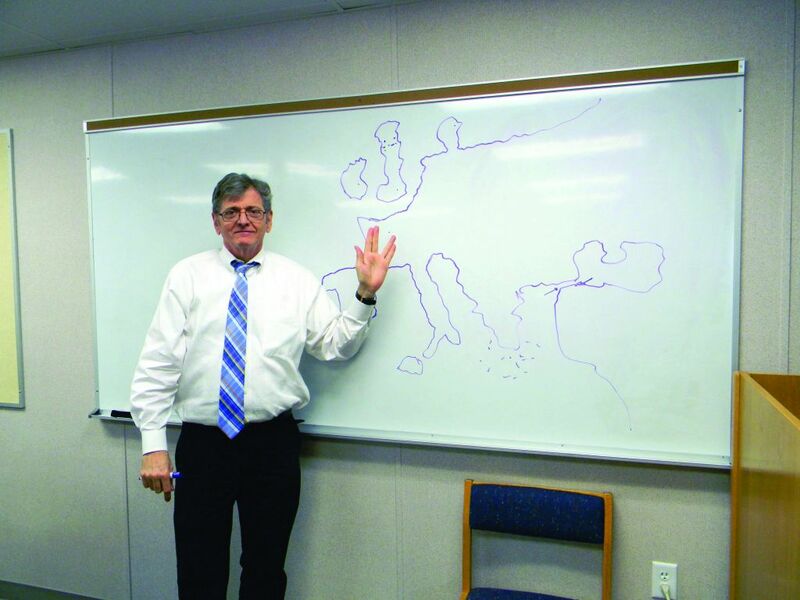 While at Westminster, Dr. Link taught his fellow faculty members Mr. Player and Mrs. Eden. Mrs. Eden remembers Dr. Link’s class as being “very challenging, I always had to work really hard in his class.” Dr. Link “has hardly changed at all since I had him as a teacher when I was 17,” said Mr. Player. Overall, Dr. Link has been very pleased with his move to Pace. “Pace and Westminster are very different in their approach to education. I like the fact that Pace is not tied to one religion,” he said. When asked which famous people, dead or alive, he would invite to a party, he replied, “If I could ever clean my condominium enough to invite these people over, I would have the German poet Gotter (he is one of my idols), Barbara Stanwyck and other under-rated Hollywood stars from the Golden Era, Catherine the Great just for fun (you always need some sparkly scandal) and Nietzsche before he went insane.” Clearly, Dr. Link has no limits.